The pyramid at Cerro del Gentil stands 16 feet tall and is made out of adobe. 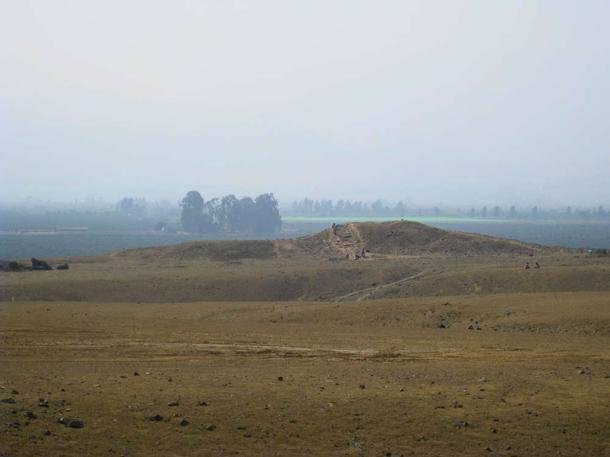 Archaeologists exploring in the Chincha Valley, in southern Peru, have made a new discovery — an ancient pyramid and dozens of stone lines, some of which form a remarkable alignment with the pyramid and the sunset at winter solstice. The 5-metre-tall, flat-topped pyramid, called Cerro del Gentil, was constructed sometime between 600 BC and 50 BC, likely by the Paracas culture. These ancient people apparently practiced the art of 'skull binding', which created strangely-shaped and sometimes alien-looking skulls. The lines, which are a type of geoglyph, number at around 50 so far, with the longest stretching for about 1.5 kilometres. They were likely built around 2,500 years, roughly the same time as the Nazca Lines. However, although their basic purpose is as mysterious as those more famous lines, they couldn't be more different. The Nazca lines were made by removing stones from the landscape, exposing the lighter-coloured ground underneath in patterns that form into animals, people and other shapes of nature. These newly-discovered geoglyphs were made in nearly the opposite way, by placing loose rocks on the ground in such a way that they formed wide lines. Up close, they might not look like much, but they become much more obvious when looking off towards the horizon. Researchers have found about 50 of these stone lines, the longest of which runs close to nearly 1,500 meters. The two geoglyphs specifically associated with the pyramid are of special note, because when they were built, they formed a perfect astronomical alignment. 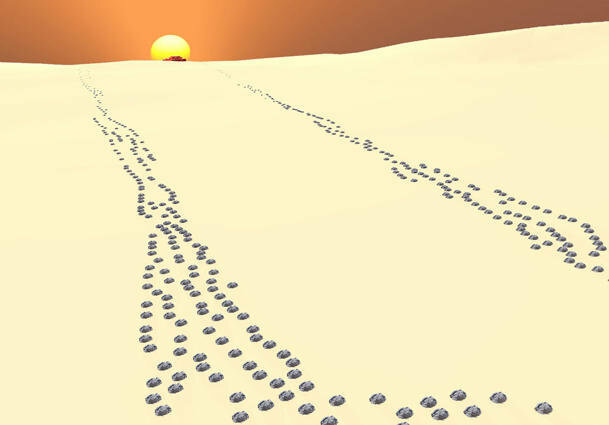 According to LiveScience, a poster the researchers presented at the recent Society for American Archaeology annual meeting in Honolulu stated: "When viewed in 3D models, these lines appear to converge at a point beyond the horizon and frame not only the site of Cerro del Gentil, but also the setting sun during the time of the winter solstice." "Thus someone viewing the sunset from these lines during the winter solstice would have seen the sun setting directly behind, or sinking into, the adobe pyramid," they write, and conclude that the pyramid and these geoglyphs form one, large 'architectural complex' that included the entire plain in some kind of ritual, possibly of cosmological significance. There are several lines leading from the pyramid to local settlements, which could simply be ritual paths that were followed by the residents. Other lines don't seem to have any particular association, although the researchers did find over 200 rock cairns, each about 15 metres in diameter, scattered about between the lines which likely have some kind of significance as well. At first glance, it may not seem like these lines form intricate drawings like the Nazca lines, but it will be interesting to see if they still form some kind of larger pattern when the researchers find them all. Perhaps it's another form that can only be seen from above. Maybe there are more lines with astronomical significance, turning it into some kind of elaborate ritual calendar or astronomical timepiece. There are concerns about the future of the project, as some of these lines have already been destroyed by construction, so hopefully they can learn more before too much of it is lost.